Tag Archive: Green Lease Toolkit. 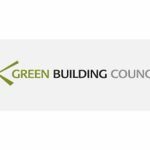 The Green Building Council invites you to attend this milestone event celebrating five years of momentum gained in the green building space. The leadership team have spent the last few months defining the GBCSA’s focus areas and would like to share their future plans with you. Members form an integral part in shaping the future of the organization and the results of a recently conducted member survey have been incorporated into the action plan.